IF YOU HAVE A HOUR A MONTH OR AN HOUR A WEEK – WE NEED YOU! Want to brush up on office skills – get out of the house – meet new people? Call the museum for details at (724) 568-1990! 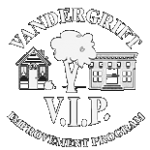 Help us keep the history of Vandergrift alive for generations to come! Art program to benefit the library! Book Sale! Support your library! Victorian Vandergrift Museum | Proudly Powered by WordPress.